Let the scapegoating continue. Adam Lanza, the person who shot and killed 26 people at Sandy Hook elementaryin Connecticut last month, reportedly played Call of Duty, among other games. So for quite a while now, pundits and politicians have been drawing links between his heinous actions and the video games he played. Most recently we have Senator Chris Murphy, a newly-elected Democrat in CT, who spoke yesterday during a press conference to introduce a bill on assault weapons. “I think there’s a question as to whether he would’ve even driven in his mother’s car in the first place if he didn’t have access to a weapon that he saw in video games that gave him a false sense of courage about what he could do that day,” the senator said. This is probably a good time to remind the world that there is no scientific evidence linking violent video games and violent behavior. 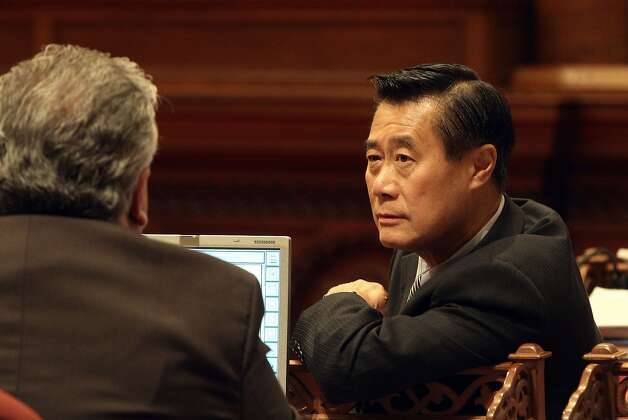 State Sen. Leland Yee’s ban on sales of violent games to minors was tossed by the high court. When the U.S. Supreme Court ruled in 2011 that there was no proof that violent video games caused minors to act violently, the video game industry believed an age-old debate was finally over. But in the aftermath of the Sandy Hook killings, the video industry is once again under scrutiny. This time, President Obama’s gun control initiative includes funding a new, $10 million study on violence in entertainment, including video games. And that’s not all. Since the Newtown, Conn., tragedy, lawmakers in Missouri and Utah have introduced bills that would levy a tax on violent video game sales and make it a crime to sell certain games to minors. Indeed, a list of last year’s top 10 best-selling games, according to the research firm NPD Group, shows an equal mix of first-person shooters – which traditionally cater to the industry’s most loyal audience of hard-core gamers – and the sports and dance games that can’t be considered violent. The best-selling game was the latest installment of the war simulation “Call of Duty” franchise from Activision of Santa Monica. In third place was “Halo 3,” from a Microsoft subsidiary, 343 Industries of Kirkland, Wash., and in fourth place was “Assassin’s Creed III” from France-based Ubisoft Entertainment, which has its North American headquarters in San Francisco.